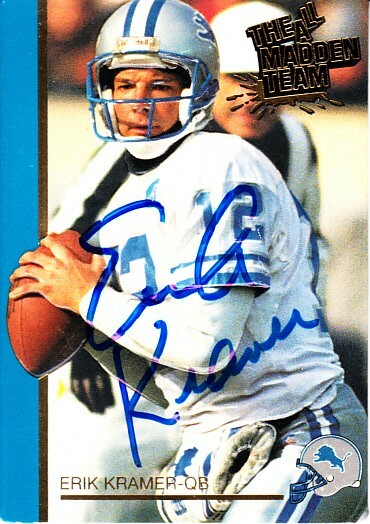 1992 Action Packed 1991 All-Madden Team football card autographed in blue Sharpie by quarterback Erik Kramer, who led the Detroit Lions to the 1991 NFC Championship Game. Obtained in person, with certificate of authenticity from AutographsForSale.com. ONLY ONE AVAILABLE FOR SALE.